Attention all English majors: Surely I don’t have to tell you that November 13 is Robert Louis Stevenson’s birthday, nor do I have to tell you about the major role he played in the Napa Valley’s literary history. Do I? Okay, for those of you just joining us, Stevenson is the Scottish author of such classics as Treasure Island, The Strange Case of Dr. Jekyll and Mr. Hyde, and A Child’s Garden of Verses. Always sickly and prone to fevers and coughs, Stevenson eventually found his way from Edinburgh to San Francisco in pursuit of his big crush, Fanny Van de Grift Osbourne, who was living there with her son, Lloyd. 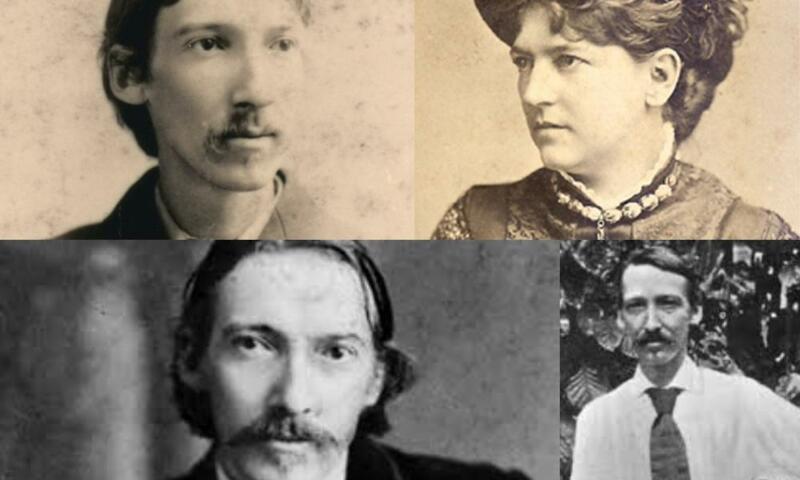 They were married in 1880 and spent their honeymoon in Calistoga and at an abandoned mining camp on Mount St. Helena. Three years later, the author wrote about this experience in The Silverado Squatters. Then, find your way to the Robert Louis Stevenson Museum (1490 Library Lane, St. Helena; 707-963-3757), where you’ll find a research collection of nearly 6,000 items and personal artifacts illustrating Stevenson’s short but creative life – including his wedding rings, some of his childhood toys that inspired his poem “The Land of Counterpane,” and even a cheese box that provided a plot point in Treasure Island. Next, drive to Calistoga. Check out the historic Calistoga Depot on Lincoln Avenue, where the Stevensons disembarked in 1880. No longer a train station, this site is now home to several small shops (there are even six Pullman cars converted to retail). You can walk from the depot to the Sharpsteen Museum (1311 Washington St, Calistoga, open daily 11 am to 4 pm), which has a section devoted to Stevenson and adjoins one of the original Hot Springs Hotel cottages in which the Stevensons began their honeymoon. You can still visit Old Faithful Geyser (1299 Tubbs Lane), about a three-mile drive north from downtown Calistoga. It’s one of only three in the world to spout with regularity. From there, drive seven miles up Mount St. Helena, on the old toll road for stage coaches, to Robert Louis Stevenson State Park (3801 St. Helena Hwy., Calistoga). It’s not staffed, so self-park and follow the signs to the Stevenson monument – a 0.8-mile hike up a switchback trail. Unfortunately, the cabin where Robert and Fanny stayed is long gone, but there is a plaque, erected in 1911, explaining that this is where the couple spent their honeymoon. Continue past the monument and you’ll see the entrance to the Silverado Mine on your left. If you’re inclined to keep going, it’s five more fairly steep miles to the summit of Mount St. Helena. The climb is well worth it on a clear day, when you can see all the way to San Francisco Bay to the south and sometimes even Mount Shasta, 192 miles to the north. Finally, you can stop at Schramsberg Vineyards (1400 Schramsberg Road, 707-942-4558; tasting by appointment only), where Stevenson claims to have tasted 18 different wines, for a tour and a toast to one of our literary greats.